Today, July 30th only, on Amazon.com where you can save big on select Moen products. 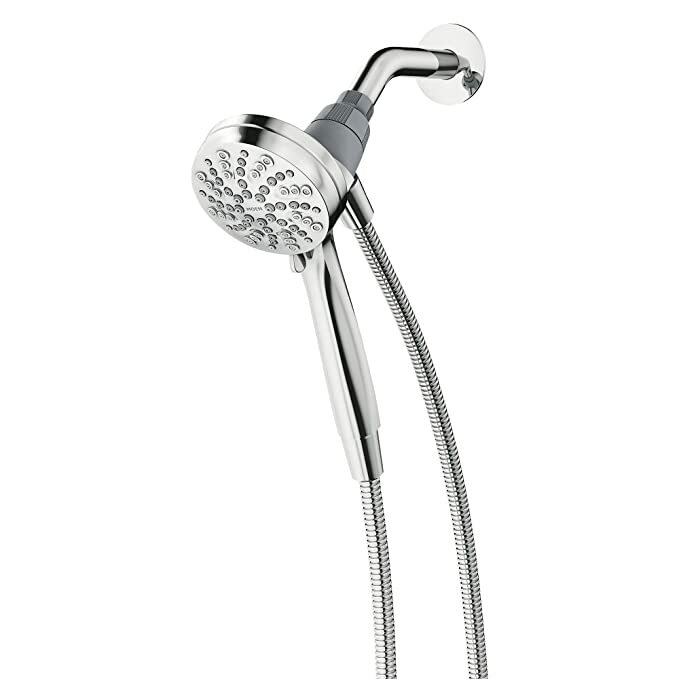 这种可以调节6种水型的浴室淋浴水龙头， Moen Magnetix Six-Function Handheld Showerhead with Eco-Performance Magnetic Docking System in Chrome, 降价后 for $31.47 shipped or in Brushed Nickel for only $38.48 shipped (regularly $73.30). This showerhead features a magnetic docking system that allows you to easily detach and use as a handheld showerhead or effortlessly replace it to the dock with the snap of a magnet. There are six different spray options to choose from that you can quickly change with just a quick turn of the dial.